Wanting to get away for the weekend? Why not spend it at one of the romantic getaways in Connecticut! Connecticut is the southernmost state in New England and offers everything from quiet small towns to stunning coastal cities. As it’s close to New York, Boston, Rhode Island and Long Island, it’s easy to spend the weekend visiting the most beautiful places in Connecticut. 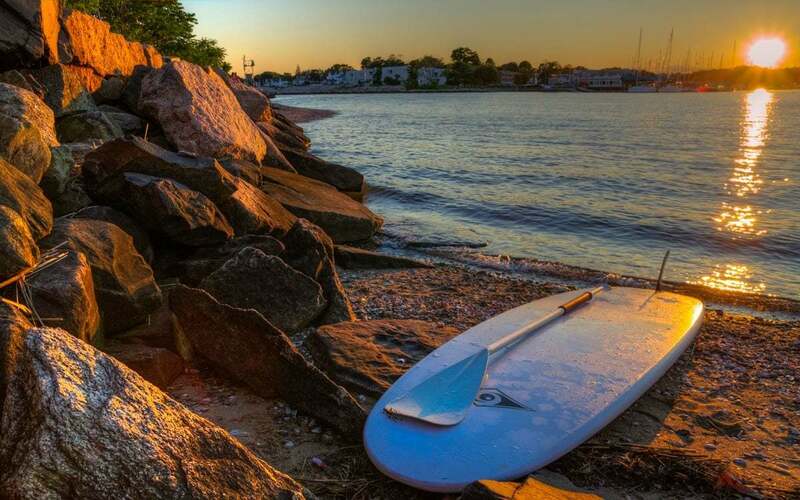 On your weekend getaway in CT explore miles of ocean-front coastline, lakes, waterfalls, mountains and even the beautiful Connecticut River. So check out the most romantic things to do in CT this weekend with your lover! There are so many fun activities for couples in CT as well. Stay at accommodation like Stamford CT hotels and romantic all inclusive resorts in Connecticut. Whether you’re crazing luxury or serenity, you will find it here at one of the most romantic getaways in Connecticut! Go for a romantic drive alongside the coastline, enjoy wine in the countryside or, cosy up to a fire under the stars. These are just a few of the romantic things to do in CT. Check out Litchfield in the northwest corner of Connecticut or, cruise to Hartford for a soothing ride down the Connecticut River. Why not find some mystery in the Mystic country located on the Eastern side of the state for your weekend getaway in CT.
Perhaps you’d prefer to have some fun in the sun at the beautiful New Haven beach towns? Enjoy your Connecticut getaway taking in the Long Island Sound views in Stamford, CT. Enjoy the rolling hills, antique shops, historic homes, art galleries and the lush gardens in Litchfield Hills. Here, you will find so many fun activities for couples in CT! 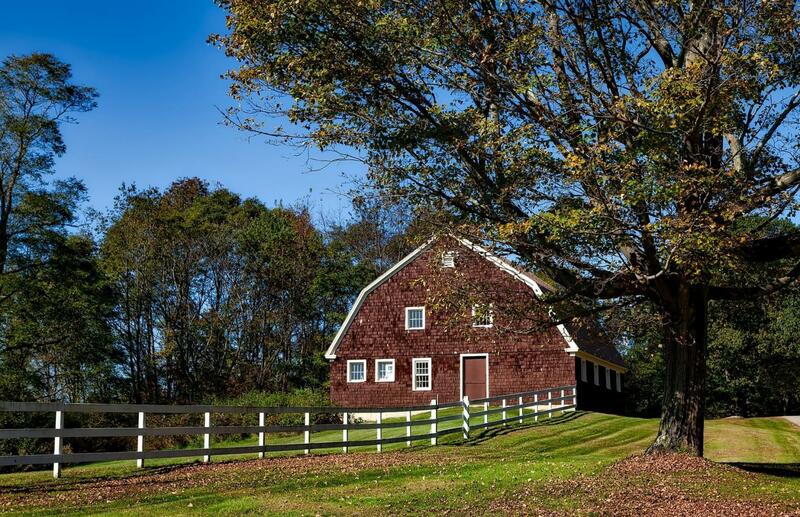 Stay at the best bed and breakfast in Connecticut and enjoy the picturesque countryside. Here you will find the perfect combination of romance and relaxation. Therefore Litchfield is the perfect destination for your weekend getaway in CT.
With so many romantic things to do in CT this weekend, couples have plenty of options for their romantic getaway in CT! Litchfield is filled with outdoor adventure, art, serenity, and most importantly, romance. Here are some of the most romantic things to do in CT, Litchfield for couples. 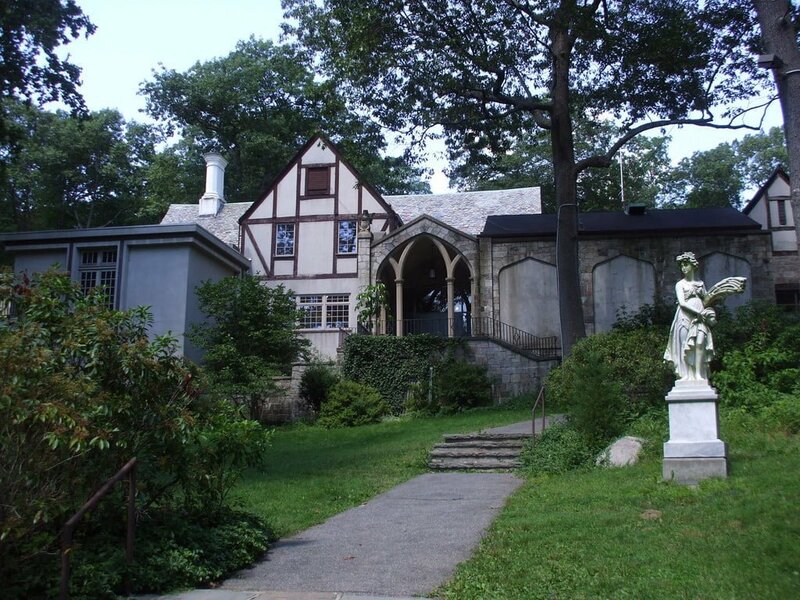 Take a quiet romantic stroll through one of the most beautiful gardens in Connecticut at Topsmead State Forest. This gorgeous garden is a bit off the beaten path but, absolutely worth the drive! The broad landscape is perfect for flying a kite, walking, picnicking, cycling and taking incredible photos with your lover. Topsmead State Forest is one of the most romantic things to do in CT for couples. Burr Pond, State Park is a perfect place to go on a summer weekend. So enjoy your romantic getaways in Connecticut here. The park is free year round and has plenty of beautiful areas to grill and picnic along-side the beach. Rent canoes or kayaks, go fishing, hiking, or simply cuddle up and watch a beautiful sunset over the pond. 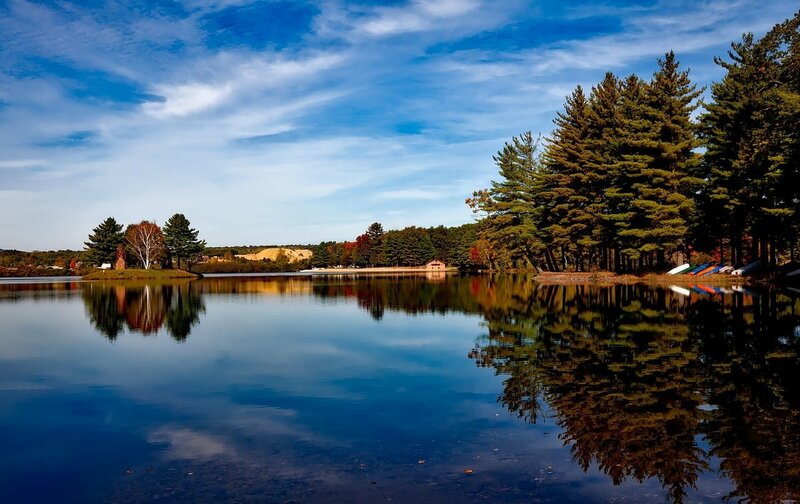 If you’re looking for cheap, fun activities for couples in CT, Burr Pond State Park is your ideal destination. 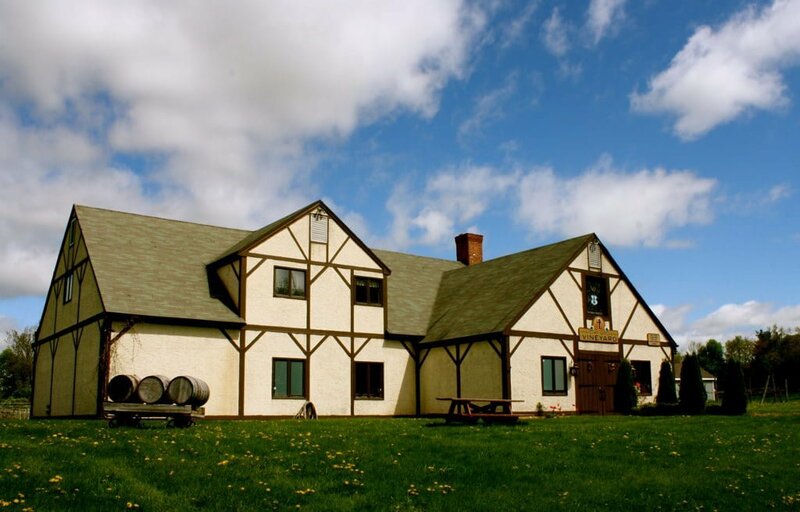 Opening its doors in 1975, the beautiful historic Haight-Brown vineyard is Connecticut’s oldest wineries. The vineyard grows 45-50 tons of grapes per year, producing Vinifera wines and French Hybrid blended wines. A must see for wine and history lovers looking for romantic things to do in CT. Located in the picturesque hills of Litchfield County, this family-owned vineyard and winery are one of the best 101 Wineries in America. Which is why it’s one of the top fun activities for couples in CT. This winery is open year round but has limited seating during the winter months. Due to limited outdoor seating in the winter, we recommend checking out this romantic spot during the spring, summer or fall. Miranda Vineyard is located just two hours away from New York City and makes for the perfect autumn weekend getaway in CT. It offers stunning views of the rolling hills of Litchfield Hills. This stunning vineyard is close to antique shops, historic sights and other vineyards and distilleries. Sit back, relax and share a delicious bottle of wine in the large exterior patio here at Miranda Vineyard. Visiting a vineyard is one of the most romantic and fun activities for couples in CT. Couples who have an appreciation for live performance theatre will love this charming place. Local musicals can’t miss the historic Warner Theater in Litchfield, Connecticut. Built in the 1920’s, this historic theatre has housed extraordinary talent throughout the last century. Located in Downtown Torrington, the charm of this beautiful building is recognized by anyone enjoying their Connecticut vacation. Do you and your partner love cuddling up to a good movie and sharing a bag of hot, buttery popcorn? Bantam Cinema offers an eclectic array of films, organic buttery popcorn and assorted snacks. 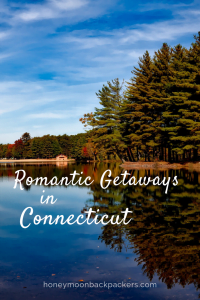 Ignite the romance during your Connecticut getaway! Watch movies from Oscar-nominated films to smaller scale releases in the oldest running cinema since 1927. Very charming and the perfect getaway in CT. If you’re looking to for the best spa getaways in CT, look no further than the Grace Mayflower Inn & Spa. Cosy up by the fireplace with your lover and a glass of wine from a local vineyard. Explore the beautifully landscaped gardens while enjoying your romantic getaways in Connecticut. The Grace Mayflower Inn & Spa boasts sparkling pools, tennis courts, golf course and is one of the best hotels in Connecticut with jacuzzi. This is one of the best bed and breakfasts in Connecticut! The Amselhaus offers the convenience of a hotel with the romance of a B&B. This beautiful accommodation will provide couples with a beautiful on-site garden and BBQ facilities. Guests have access to activities such as skiing, fishing, hiking, canoeing and also, in-room massage services. Because of the convenient location and the incredible amenities, The Amselhaus is the perfect romantic weekend getaway for you and your partner. Hartford is the perfect destination for both charm and classic elegance! Spend a romantic weekend getaway in CT, Hartford. This charming small town is surrounded by beautiful countryside. You will find tons of history, beautiful architecture, serene gardens and the ever so stunning Connecticut River. There are tons of romantic things to do in Hartford, CT, especially for couples. Whether you want to explore historic sites, cultural centres or try incredible New England style food. 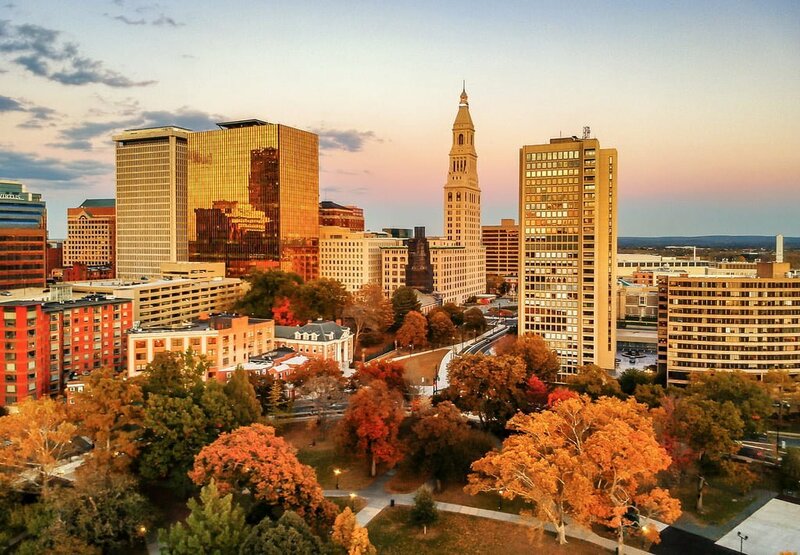 Hartford is a beautiful Connecticut vacation destination to spend your weekend getaway. Looking for fun activities for couples in CT? Step aboard an Amtrak Regional Train, relax and enjoy the ride to NY. Upon arrival in Pennsylvania Station, New York, you will be picked up by a hop-on hop-off bus to explore New York and Brooklyn. Visit museums, observatories,theatres, zoos or take a boat ride. Check out the WWII aircraft carrier, a space shuttle and even the new One World Trade Center Observatory. It also stops at the 9/11 memorial pool. This adventure packed day trip will make your CT getaway even more unforgettable. Crazy Dash is one of the most fun activities for couples in CT. Ignigte your playful side with this hilarious digital adventure walking tour. Walk hand in hand around the city of Hartford doing silly tasks and seeing the sights using just an app on your smartphone. Sites along this adventure could include monuments, historical markers, sculptures and other important landmarks. The objective of this tour is to have a blast, explore the city, learn a little and have some simple competitive fun while completing crazy challenges. Crazy Dash is one of the fun and romantic things to do in CT. Located in Glastonbury, CT, is the Connecticut River Valley Inn. This romantic inn in CT is located just 8 miles from Hartford City Center. Couples can enjoy a romantic gas fireplace, an on-site art gallery, garden views, homemade breakfast and a wide variety of restaurants and nearby shopping. 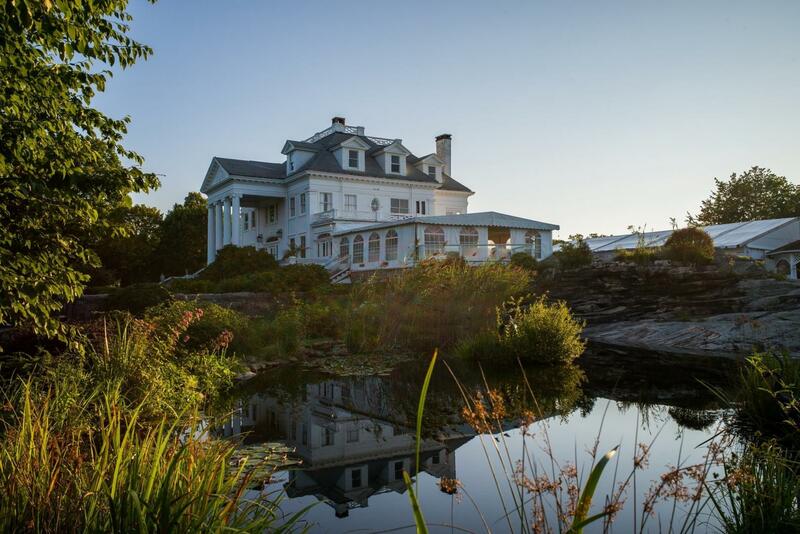 This is one of the most romantic inns in CT for honeymoon couples! The ambience is relaxing and inviting making it one of the loveliest places to stay in CT. The property mirrors 1600’s New England Style beauty and is spectacular from the inside and out. So if you’re looking for the most romantic places to stay in CT, stay at the Connecticut River Valley Inn. The Goodwin is truly a destination that no couple should miss during their Connecticut vacation. This property exudes romance at every corner of this beautiful Victorian-era boutique hotel. It’s one of the most romantic places to stay in CT with an intimate lounge, seasonal cocktails and freshly shucked oysters from the raw bar. Relax by a romantic fireplace, surrounded by with flickering mood candles on your romantic getaways in Connecticut. The Goodwin’s romantic atmosphere easily make this hotel one of the best hotels in CT for couples. Spend your romantic getaways in Connecticut between New York and Boston. Mystic County offers some of the most romantic getaways in CT for couples! Mystic houses the entire eastern side of the State and offers several different types of romantic getaways. From quiet farmland Inns to adorable downtown villas and beautiful coastal hotels. Some of the most beautiful places to stay in CT reside here. 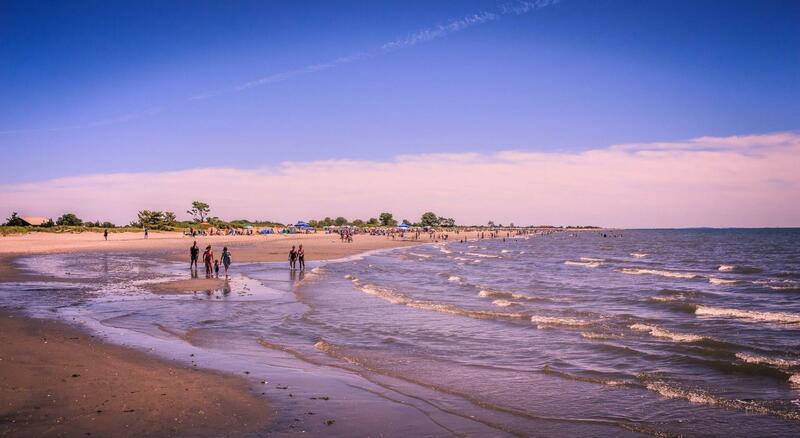 The southern Coastal towns of Mystic County feature miles of Oceanfront shoreline! Enjoy the charming New England architecture, spectacular sunrises, delicious eateries, sophisticated cultural attractions and some of the best beach hotels in CT. Mystic is by far one of the most romantic places to spend your weekend getaway in CT. Soar through the trees at 45 mph over the vast, beautiful Connecticut landscape with HighFlyer Zipline. This epic flight is easily one of the most fun activities for couples in CT. The journey begins on the rooftop of Fox Tower at a towering height of 350 feet. Enjoy the cool, crisp, Connecticut air as you fly high for nearly a mile with views of some of the most beautiful places in Connecticut. 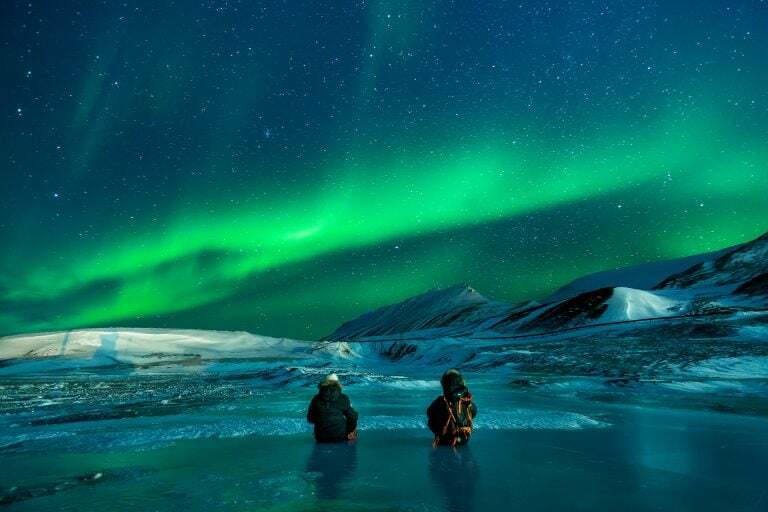 This is an experience that is sure to leave you and your partner smiling from ear to ear. Sharks and stingrays and whales, oh my! Explore sea life like you are a part of it. At the Mystic Aquarium, guests can get closer than they ever thought possible to our amazing planet’s water life. Exhibits include penguins, sea lions, seals, alligators, sharks, stingrays, exotic reptiles and New England’s only beluga whales! Enjoy Sea lion shows, shark feedings, and other amazing underwater shows. Be sure to add this action-packed adventure to your romantic things to do in CT this weekend. Looking for a challenge for your mind, body and spirit on your Connecticut getaway? 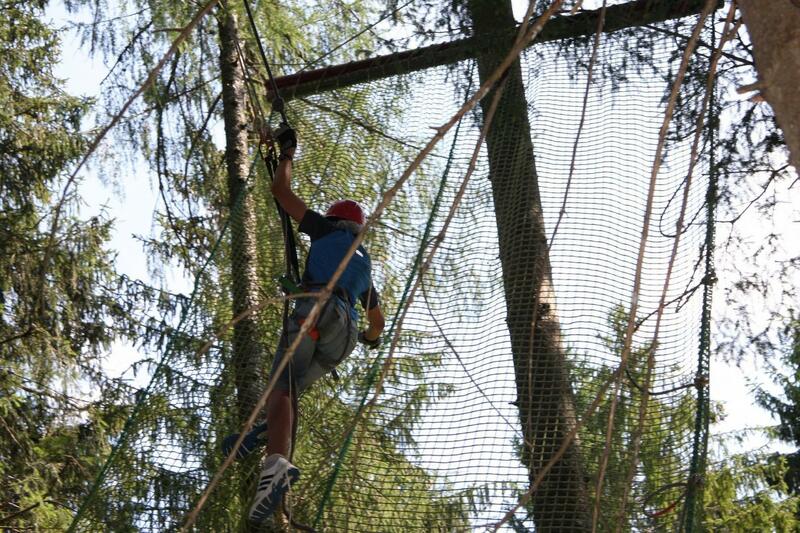 This incredible Aerial Adventure Park offers 5 amazing sky high courses with difficulties ranging from beginner to expert. Set in the beautiful Connecticut woodlands of Mystic is this 50-acre course. It’s one of the romantic things to do in CT and is a perfect team building activity for you and your lover. This tour boasts stunning views from start to finish and is one of the best fun activities for couples in CT. This self-guided exploration of Mystic’s 1870’s seafaring village is a must-see during your Connecticut vacation. Learn how life on the coastline was back in the early 19th century. Climb aboard this actively working preservation shipyard on your romantic getaways in Connecticut. The village features three tall ships, including the last vessel of her kind in the world. The Charles W. Morgan is considered the “Crown Jewel” of the Mystic Seaport collection. Between the views, history and fun, this is easily one of the most fun activities for couples in CT. This historical Bed & Breakfast is like a virtual museum loaded with unique history in Mystic, Connecticut. Enjoy luxury and charm at one of the best Bed and Breakfasts in CT. Amenities include delicious homemade breakfast, a lovely garden, seasonal outdoor pool, and two hosts that will make you feel right at home. If you fancy a bit of extra romance, upgrade to the superior room which includes a spa bath for two. Stay at one of the best bed and breakfasts in CT on your romantic getaway! 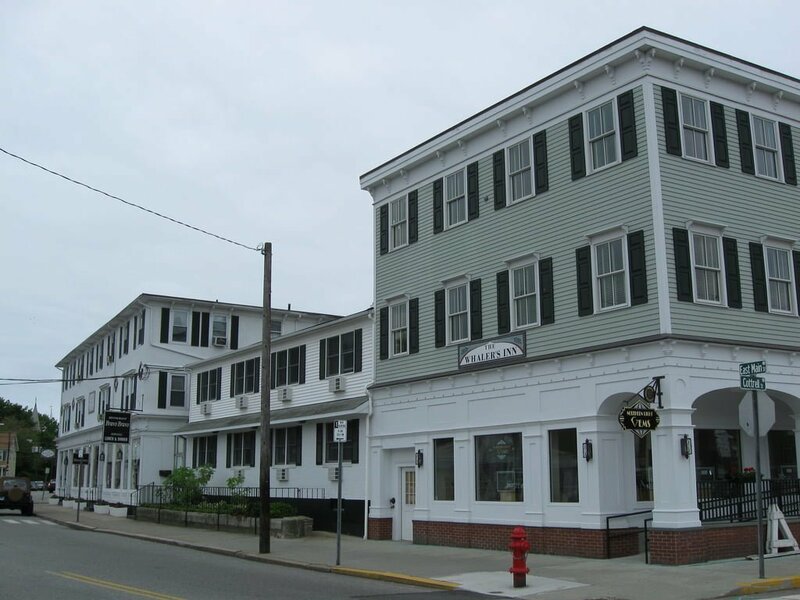 Whaler’s Inn Mystic CT is situated on a quiet street in one of America’s most charming small towns! Whaler’s Inn Mystic, Connecticut is one of our favourite romantic getaways in CT. After a full day of exploring the lovely coastal town of Mystic, be sure to catch the sunset over the Mystic River Drawbridge on your way back home. Once back to your lovely waterfront hotel in CT, cuddle up by the romantic gas fireplace. Whaler’s Inn Mystic Connecticut boasts beautiful nautical-themed rooms, soak in the oversized whirlpool tubs. Craving a romantic weekend getaway in CT by the beach? New Haven is a breath of fresh air and easily one of the most beautiful places in CT. New Haven is home of Yale University, picturesque beach towns, great shopping, dining, arts, and home to some of the best beach hotels in CT. It offers the perfect weekend getaway in CT for you and your lover any time of the year. Enjoy the Japanese Cherry Blossoms in the spring, 40 miles of prime shoreline in the summer, timeless New England apple picking in the autumn, and take a romantic stroll at Lighthouse Point Park in the winter. There is no question that New Haven is the perfect place for your romantic CT getaway. 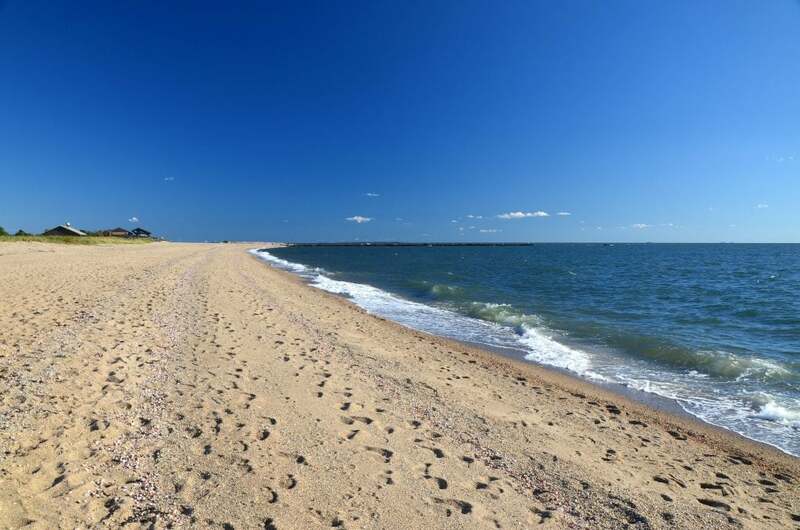 Hammonasset Beach State Park is a destination perfect for any season. 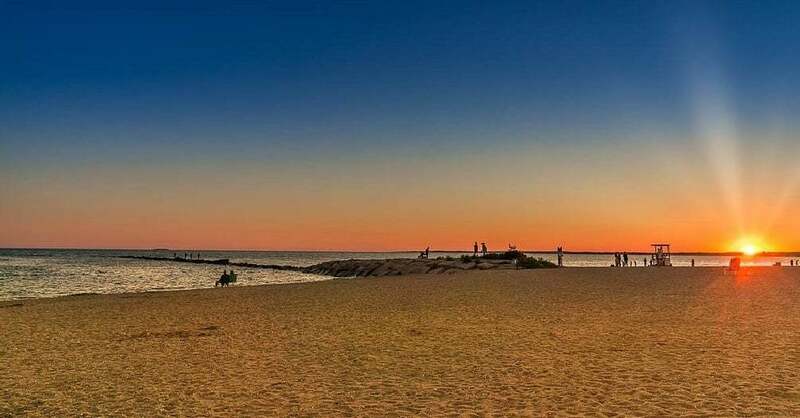 This is a beach lover’s paradise and a great Connecticut vacation spot. Offering everything from swimming to seasonal camping and picnicking spots. Enjoy saltwater fishing, scuba diving, hiking, boating or even just walking alongside the breathtaking beach with the salty breeze brushing your faces. Hammonasset is beyond ideal for a romantic CT getaway with your honey. Splurge with this breathtaking scenic tour from New Haven, Connecticut to Philadelphia, Pennsylvania. Explore some of the most iconic historical sites in America and some of the most beautiful places in CT. Your tour will depart from the New Haven train station CT. It’ll take you to Philadelphia’s 30th Street Station where you will tour a number of Historical Museums and famous landmarks throughout PA. This is sure to be a day to remember during your romantic weekend getaway in CT. This STUNNING Inn offers a unique and comfortable romantic getaway in CT. The Historic Mansion is only a short distance from Yale University and has a reputation for being one of the best Inns in CT. Go for a lovely afternoon stroll through New Haven Green Historic District. Soak in all the amazing history and culture through Yale’s gorgeous campus, and then head home to the beautiful Historic Mansion Inn. Stamford is a small city located Long Island Sound. 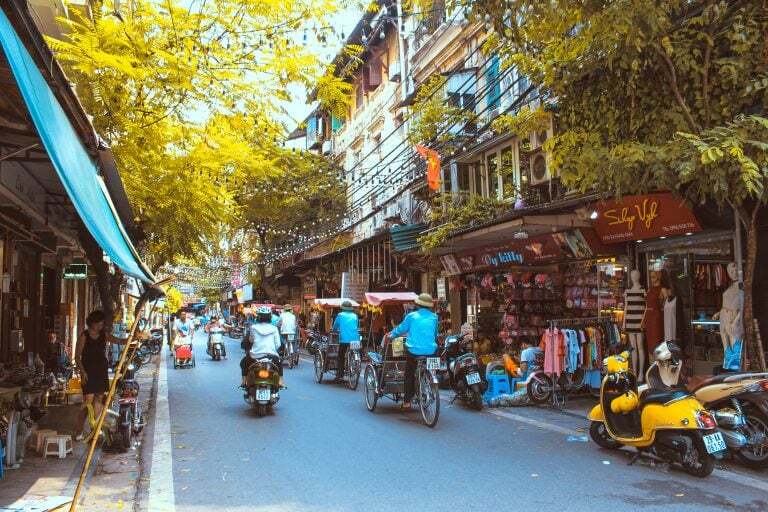 Although this city is quite small, it is full of romance and elegance. This is a popular Connecticut getaway spot for couples. If you’re looking for a laid-back small town experience, head to Stamford for your romantic getaway in CT. It’s mostly wooded and hilly, this quaint city is the least populated city in Connecticut. So, for the couples looking to really get away from the hustle and bustle of their busy lives, make Stamford, CT your next Connecticut vacation! Grab your sweetie and head to Cove Island State Park to enjoy the breathtaking views of Long Island Sound. 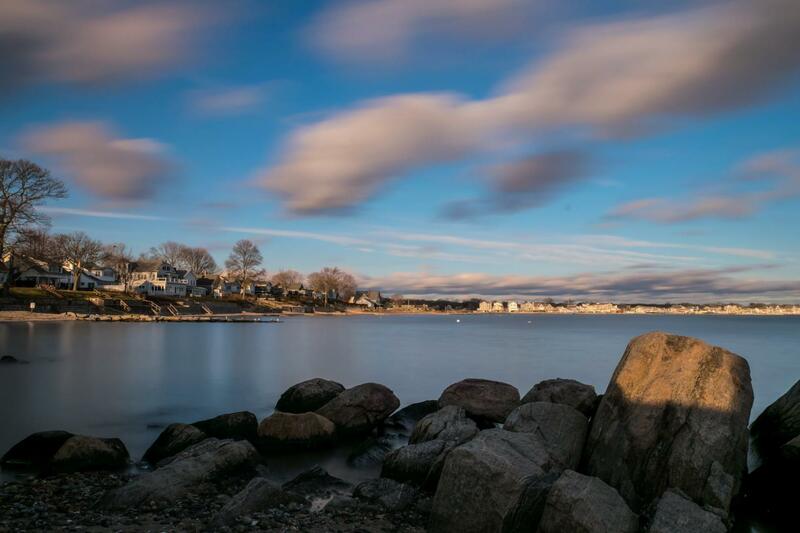 This beautiful waterfront spot is one of the most romantic things to do in CT this weekend. Why not cozy up with each other for a picnic at sunset? Or maybe, take a romantic stroll, hand in hand and take in the beautiful views? Whatever you chose to do with your time here, rest assured, that romance will surely blossom here. It is every film-maker’s dream to have their movie shown in Avon Theater Film Center. So naturally, every movie-loving couple should enjoy a show here too. There is something both magical, and romantic about cosying up to your honey watching a movie on the big screen. This theatre is one of the most fun activities for couples in CT. It has such a brilliant history, which is why it’s a popular place to spend your CT getaways. Experience true Connecticut Nature here, at the Stamford Museum & Nature Center. Couples can have fun at the mini zoo, go hiking, learn about conservation and much more here. So, if you and your honey love nature, add this stop to your list of most romantic things to do in CT this weekend. It goes without saying that watching the sunset over Long Island Sound is without a doubt, one of the most romantic activities for couples in CT. While there may be several options to explore the sound by boat, we recommend using Captain John’s Tiki Tours. Captain John’s Tiki Tours offers a full day of exploration for couples on their romantic getaways in CT. The day ends with a beautiful sunset over the Sound. This is by far one of the most romantic and fun activities for couples in CT. Situated in the heart of Stamford’s business district is this romantic Stamford CT hotels. Couples will have convenient access to top-notch restaurants and entertainment. when it comes to Stamford, CT hotels, Hotel Zero Degrees offers elegance, romance and convenience. With amenities like an indoor pool, fireplace, and plush bedding, guests who stay here are immersed in luxury. With luxuries like this, it is no wonder this hotel is listed as one of the most romantic hotels in CT.
Stay at one of the best hotels in CT, here at the Hilton Stamford Hotel. This hotel is absolutely stunning from the inside, out. With decadent decor, sky high ceilings, luxurious rooms, excellent service and on site eatery’s, you will be thrilled you stayed here. You and your partner will have convenient access to the train station and all of downtown Stamford’s activities. There is also a free shuttle service that will take you nearly anywhere you would like to go. If you are looking for romantic hotels in CT, Hilton Stamford Hotel should be at the top of your list. Madison Beach Hotel is the epicenter of romance and Luxury in New Haven. This Triple A, Four Diamond waterfront hotel in Connecticut! 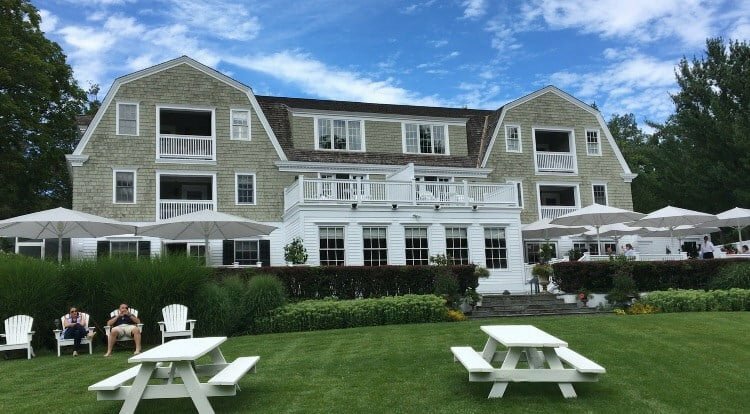 Enjoy the tranquil elegance and classic New England charm at these waterfront hotels in CT.
Madison Beach Hotel is rated one of the best resorts in Connecticut! Your romantic CT getaway is complete with a day spa, fitness center, waterside balconies, romantic fireplaces, oversize soaking tubs and rain showers. Service is unmatched here. Feel free to grab a beach chair and wait as attendants will bring fresh towels, food and beverages as desired. You will never want to leave your romantic getaway in CT when you stay at the Madison Beach hotel. Recognized as one of the best romantic getaways in CT, this beautiful Inn is situated just off the shoreline of Niantic, Connecticut. Enjoy the calming waves gently lapping the shore, take a romantic stroll along the beach, shop in the small seaside village boutique shops and dine in exquisite restaurants and cafes. 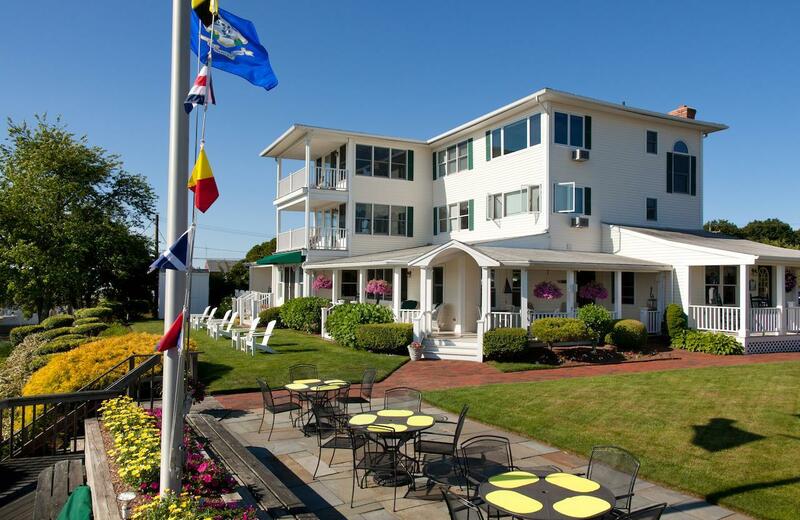 Inn at Harbor Hill Marina offers 16 stunning rooms overlooking the town’s marina district. Each guestroom has options for fireplaces, balconies and whirlpool tubs making this one of the best beach hotels in CT.
Cuddle up at of the best Inns in CT, Litchfield Inn. Conveniently located near the Topsmead State Forest, this property offers comfort, convenience, romance with a charming New England feel. Craving a romantic dinner for two? Litchfield Inn’s Restaurant and Tavern offers New England-style dining that will have you rushing back for more. If you and your partner are looking for comfort and convenience, Litchfield Inn is one of the best Inns in CT. The Cornwall Inn has romantic homey vibes and is one of the best Inns in CT. Cornwall Inn is separated with two buildings, the Main Inn and the Lodge. Here, couples have convenient access to skiing, horseback riding, cycling, stroll through the beautiful countryside and even soak in the hot tub or outdoor pool. The Cornwall Inn is absolutely one of the best places to stay in Connecticut. 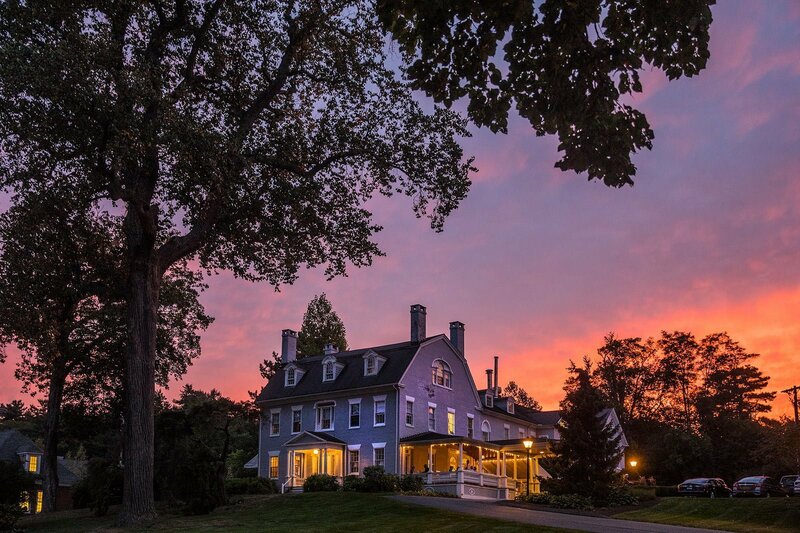 The Simsbury Inn is one of the best Inns in CT. It’s sure to take your breath away from the moment you and your partner arrive. This cosy inn is nestled just northwest of Hartford CT. Couples can enjoy stone fireplaces, stocked bookcases, complimentary breakfast, an indoor pool and chauffeured transportation to local destinations. Wind down at the end of a long day at one of the most romantic hotel spas in Connecticut. Looking for cheap hotels in CT? Enjoy the beauty and charm of Hartford at an affordable price point. Take an afternoon stroll, hand in hand, through charming downtown Hartford. Check out some of the beautiful architecture and intriguing history. Why not try some delicious New England style dining at this epic place to stay in Connecticut, Hartford. Saving money never felt so good on your romantic weekend getaway in CT. Be sure to stay here at the Days Inn by Wyndham Hartford, it’s one of the best cheap hotels in CT.
Want to visit Stamford, CT, but on a bit of a budget? Amsterdam Hotel is one of the best hotels in CT for a budget! This hotel offers luxurious amenities like many other fancy hotels in the area. However, it’s at a much more affordable price point. 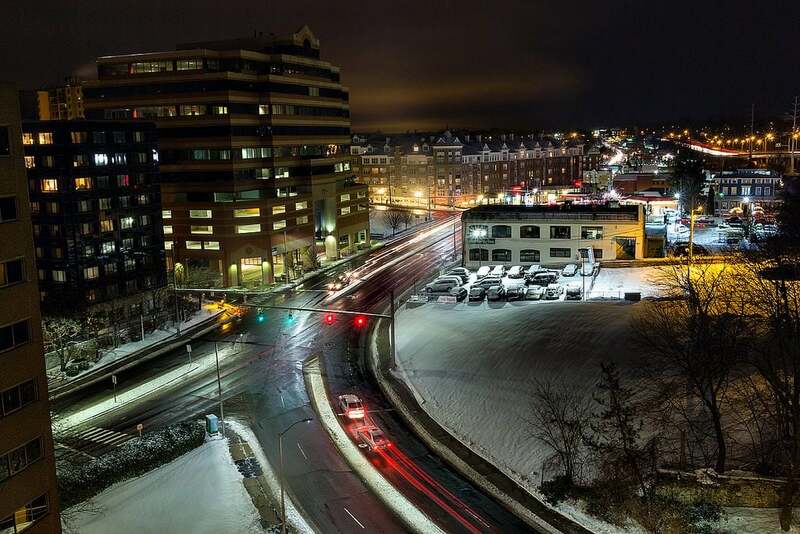 Located close to the Connecticut transit station and downtown, you will still be near everything you want to explore. There’s also a free shuttle service that will take you into town. If you are looking for the best places to stay in Connecticut on a budget, this is the hotel for you. Want to enjoy the romance of Mystic County but are on a budget? Days Inn & Suites by Wyndham in Groton, CT has you covered! Located just a short distance from tons of romantic things to do in CT, this budget-friendly hotel features an outdoor pool! With such a killer location and stunning views, this is easily one of the best cheap romantic getaways in CT. Located in the center of downtown, this charming Stamford, CT hotel is sure to ignite romance. Because of the elegant character, luxurious amenities and close proximity to downtown, this is easily one of the best hotels in CT. This is also one of the best hotels in CT with a jacuzzi. Amenities include an indoor pool, gym, hot tub, restaurant and bar, valet and spacious rooms with plush bedding. With charm and amenities like these, you will be thrilled you stayed at the Courtyard Stamford Downtown. Located a short 15 minutes from central New Haven, this hotel offers couples a lovely cheap romantic getaway in CT. There are plenty of romantic things to do in Connecticut within just minutes. Couples have several options for romance. Maybe try a Day trip to Short Beach and Lighthouse Point. Featuring an indoor pool and romantic jacuzzi rooms in CT, Days Inn is the perfect place for budget and romance. Another reason to stay here is the lovely modern amenities and super sweet staff. Rodeway Inn & Suites, Torrington is a lovely stop for a romantic weekend getaway in CT on a budget. While this hotel is conveniently located near many fun activities, it also offers romance in its amenities. It’s one of the few hotels with jacuzzi in room in CT. Cosy up in your in-suite Jacuzzi or go for a swim in the indoor pool. Enjoy a quiet breakfast in the hotel’s charming lobby on your romantic getaways in CT.
For the adventure seeker couples, you will find quick access to the Warner Theater, Action Wildlife zoo, the famous Lime Rock Park, fishing, canoeing, kayaking, parks. For couples who enjoy the arts, The Artwell Gallery, the Torrington Historical Society and the Nutmeg Conservatory for the Arts are just a quick stroll away. This is one of the most romantic hotels in CT with jacuzzi in room! Located a bit more inland is this adorable New England B&B. It’s one of the best bed and breakfasts in CT and is ideal for couples. Enjoy the cosy atmosphere, country breakfast, vintage decor, and luxurious amenities. Captain Grant’s house was build in 1754 and exudes romance! The lovely hosts are delighted to share the B&B’s history with their guests. It’s no wonder it’s one of the most charming bed and breakfasts in Connecticut with its fascinating history. Sweet tooth? Cookies, cake and/or pie are available at all times in the dining room. This lovely B&B features a 6-acre backyard with garden, a lovely 3-story porch, beautiful living rooms and a full library. Couples will have plenty of space to cuddle, relax, and enjoy the scenery at one of the most romantic places to stay in CT. 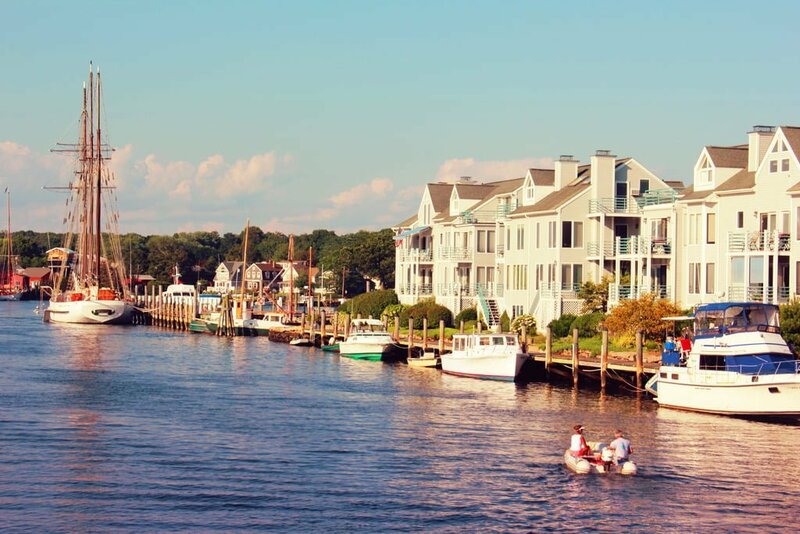 Situated on a quiet street in one of America’s most charming small towns, Whaler’s Inn Mystic, Connecticut is one of our favourite romantic getaways in CT. After a full day of exploring the lovely coastal town of Mystic, be sure to catch the sunset over the Mystic River Drawbridge on your way back home. Once back to your lovely waterfront hotel in CT, cuddle up to each other by the romantic gas fireplace in the beautiful nautical-themed rooms, soak in the oversized whirlpool tubs. This is by far one of the most romantic inns in CT. Recognized as one of the best romantic getaways in CT, this beautiful Inn is situated just off the shoreline of Niantic, Connecticut. Enjoy the calming waves gently lapping the shore, take a romantic stroll along the beach, shop in the small seaside village boutique shops and dine in exquisite restaurants and cafes. 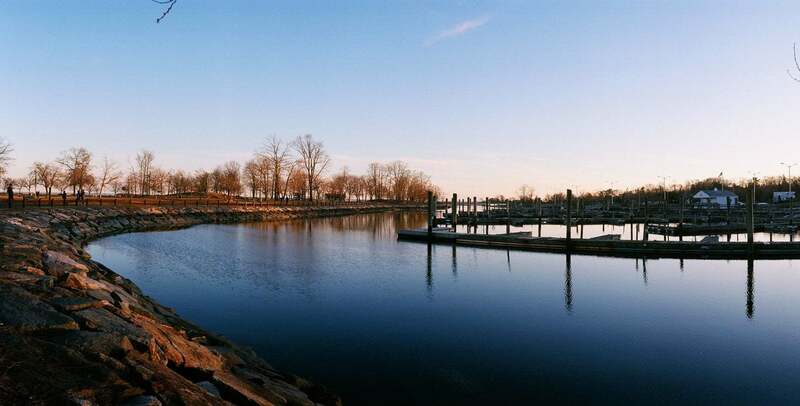 Inn at Harbor Hill Marina offers stunning rooms overlooking the town’s marina district. Each guestroom has options for fireplaces, balconies and whirlpool tubs making this one of the most romantic inns in CT. 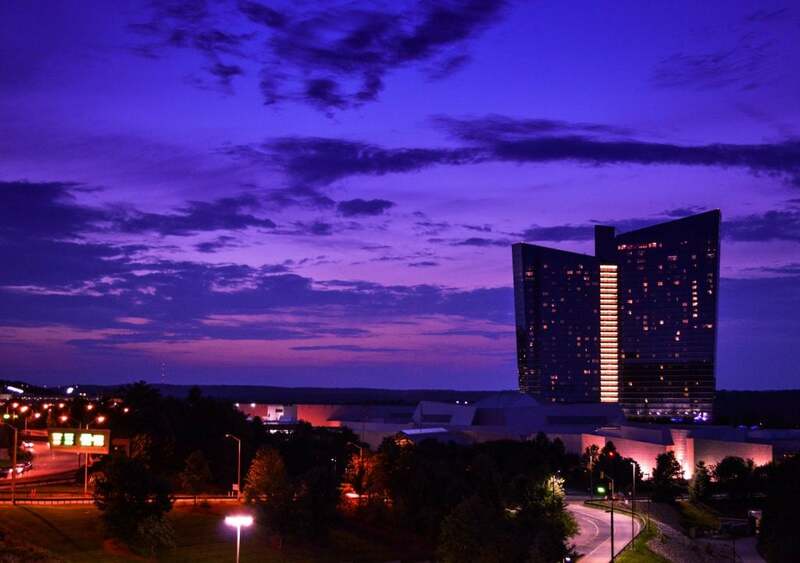 The Mohegan Sun is sure to take your breath away. Referred to as “The Casino of the Sky”, this 400 room hotel is known for being one of the best places to stay in CT. This all inclusive resort features a planetarium, a 55-foot Indoor waterfall, Native American style decor, delicious buffets, a comedy club, golf course, indoor pools, spa services, fitness center, conference rooms and of course all of the modern amenities in each room. When it comes to Connecticut vacations, do not skimp on this perfect CT getaway. Planning the ultimate weekend getaway in Connecticut? Luxury, Romance, History and top notch service is what you will get at this beautiful, lavish 4-star hotel. Situated right next to Yale University, guests are just steps away from New Haven Green, Yale Repertory Theater & Yale University Art Gallery. Ranked at #7 in Luxury hotels in Connecticut, guests can expect to see some of the most beautiful places in CT while starting out over the beautiful Yale University Campus and Long Island Sound. 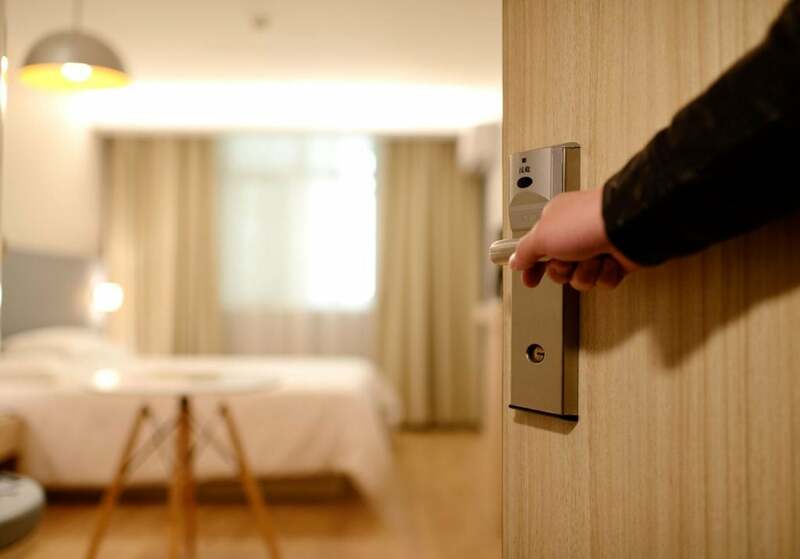 No matter your budget, romantic getaways or honeymoon preference, you’ll find an array of accommodation options for your romantic getaways in Connecticut. Airbnb is pretty big here in CT; you can find some of the awesome places to stay in Connecticut with Airbnb, here’s $35 free credit. If you want to save on the best hotels in Connecticut here is $20 AUD off your next hotel with booking.com. You’d rather not think about all of the things that might go wrong on your romantic getaways in Connecticut, but these things can and do happen. We like to think of travel insurance as a safety net, as it’s saved our butts big time on more than one occasion. We had our bags stolen, with passports, cameras and a decent chunk of money, and thanks to travel insurance we were able to replace these valuable items. I fell ill on our honeymoon and had to spend a week in the hospital, which racked up a huge debt. Without travel insurance, we would have been in thousands of dollars of debt. It’s not worth the risk to travel without insurance! 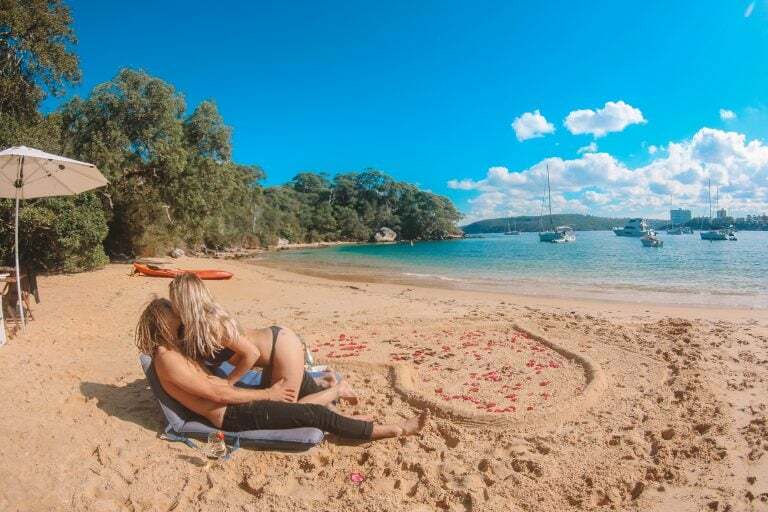 Keep your mind of ease on your romantic getaways in Connecticut by travelling smarter and safer with World Nomads travel insurance. These guys are the best in the business with affordable coverage for you and your lover on your Connecticut honeymoon travels. Before booking your romantic getaways in Connecticut make sure that your visa is sorted and approved. We always organise our visas through Visa HQ. They’re a reputable company that arranges visas for the vast majority of nationalities. No matter your nationality or travel location, Visa HQ will sort you out! Finally, there is no doubt that the beautiful New England state of Connecticut knows how to do romance. Offering the best romantic getaways in Connecticut, beautiful rolling hills, the Connecticut River, spectacular beaches CT offers something for every couple. Because there are so many romantic things to do in CT this weekend, it seems that a Connecticut vacation is just right for the two of you. Make Connecticut your next great romantic getaway destination.